When you are looking for a good blockchain platform, you should consider the OpenChain blockchain. One of the best things about this platform is that it is open source. The truth is that many people wonder how an open source platform can be secure. However, we can assure you that it is. After all, the OpenChain blockchain builds trust between organizations which allows it to be safe and where the risk is reduced. Discover everything you need to know about value stream. More and more people are taking a new look at open source. While most of us didn’t give open source technology a lot of credit in the old days, the reality is that the world is changing. With globalization, it is important that organizations and companies keep track of each other. 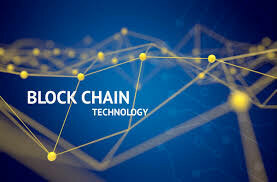 And when they are looking to improve technology, either hardware or software, they have more chance of succeeding when they use a platform such as the OpenChain blockchain. We have already seen companies cooperating. However, the main challenge here is to keep track of everything. And this is where the OpenChain blockchain comes in. One of the main obstacles for this to become true is that not all companies have the same degree of knowledge about a specific technology or product. And the reality is that there isn’t one company making a product from start to finish without using other companies solutions, technologies, or parts. This is why compliance is a huge part of the OpenChain blockchain. Check out the best open source blockchain platforms. 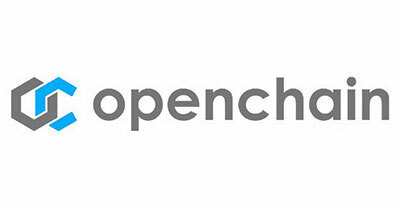 Hosted by The Linux Foundation, the OpenChain blockchain is an open source project which main goal is to make compliance more efficient, understandable, and predictable for the software supply chain. While the OpenChain blockchain was only launched back in 2016 formally, there have been a lot of discussions about the subject from three years back. With this goal in mind, the OpenChain blockchain project has as its core the requirements of a quality compliance program. But the project also tries to implement conformance to ensure that all organizations are up to date with the requirements of the compliance program. This is easily done by an online and free self-certification questionnaire. In case companies need to have it on paper, this is also allowed by the OpenChain blockchain project. Finally, the project also aims to have a curriculum that provides the best open source practices and processes. How does blockchain project management work? One of the things that makes the OpenChain blockchain project different is that it is backed by big companies that include Adobe, ARM, Cisco, Comcast, GitHub, Harman, Hitachi, HPE, Qualcomm, Siemens, Sony, Toyota, Western Digital, and Wind River. As if this wasn’t enough, there is a large community that listens, shares, and remixes the ideas. Ultimately, the main goal of the OpenChain blockchain Project is to provide a clear and simple method of building trust among organizations and companies that rely on each other to create new products and share their codes. In case you are interested in using the OpenChain blockchain, you need to know that you can already do so. After all, it is ready to be adopted by any company that creates, uses or distributes open source code. Everything in the process is free. From the online conformance to the mailing list, and even the work team calls can be easily accessed by everyone. We see the OpenChain blockchain as the future. After all, this is the first time that we are watching a project that is able to unify an entire industry and create a good dynamic with open source.